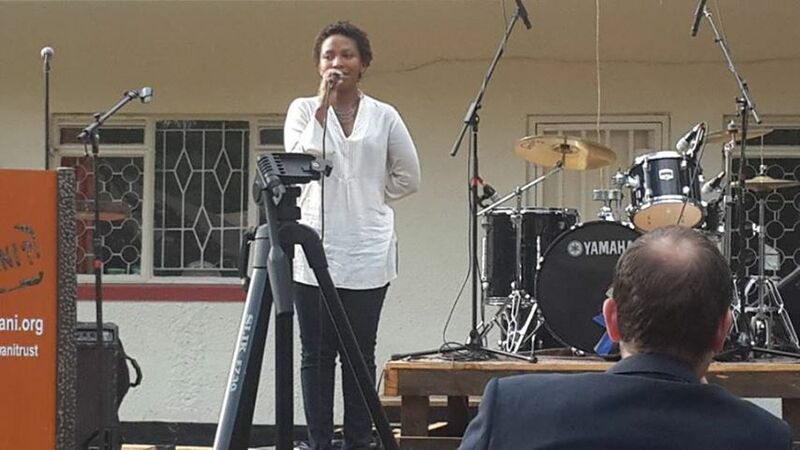 That Eric Wainaina place that used to be called Kifaru Gardens and is now called Elephant House was where all the roads led to on Sunday afternoon for the literary inclined for Sunday Salon. The Sunday Salon is an event where literature fans got to hear writers read their own work in a relaxed environment. The line up on the day was to be off the hook; Nadifa Mohamed, Adam Foulds, Billy Kahora and others. And it was one of those evenings I will be remembering for a while. The afternoon started with spinning by the Just a Band crew who were just in from the showing their stuff from the TED conference recently. Blinky Bill (real name Bill Selanga) who is the most memorable face in the crowd with his beard gave the fans some varied music – house then African African before proceedings proper started. 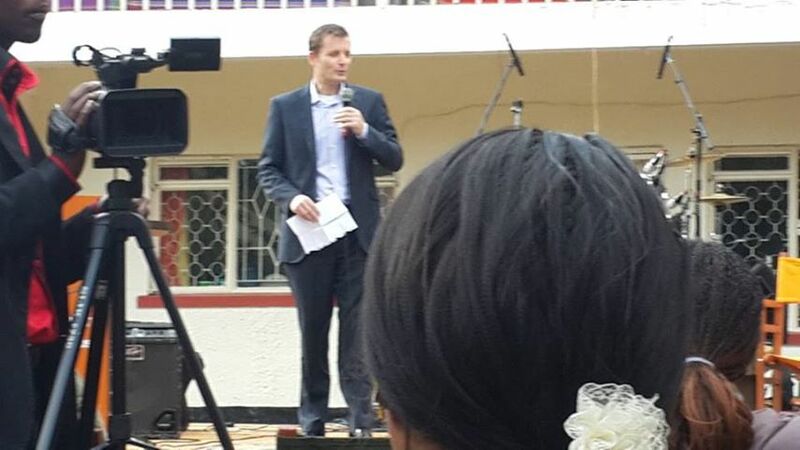 Then we heard a word from the sponsors of the whole do including Hugh Moffat who is the country director for the British Council Kenya and the Kwani Trust executive director Angela Wachuka. They gave speeches welcoming us to the main activities of the afternoon. We would be listening to works of writers who had been doing workshops with some British writers Adam Foulds and Nadifa Mohamed for the last few days. The people who got on the stage to speak were quite a few but I have state my favourite was the non prose performer that is Ngwatilo Mawiyoo. She did several pieces but her piece lambasting that guy for that ill advised article in the East African was the most powerful. The writers on stage included Billy Kahora and a new writer called Abdul as well as the aforementioned Mohammed and Foulds. They were OK. However for me the real opportunity was to chat with writers away from the structured confines of the stage. 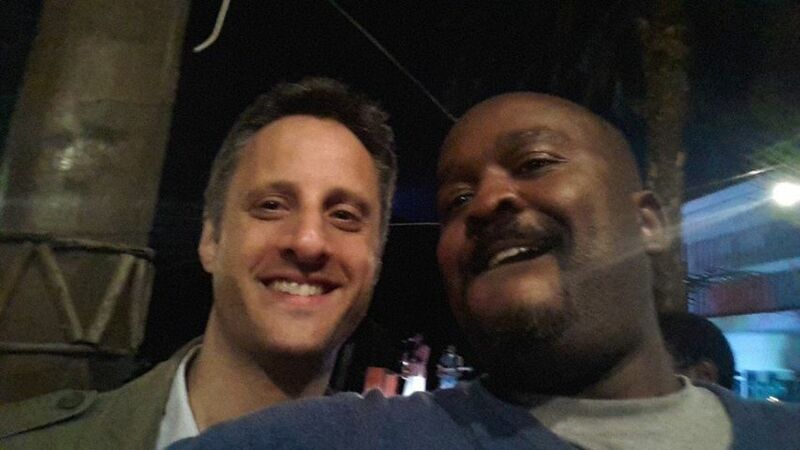 There was Binyavanga Wainaina and there was Tony Mochama in there and there was Stephen Partington in there. 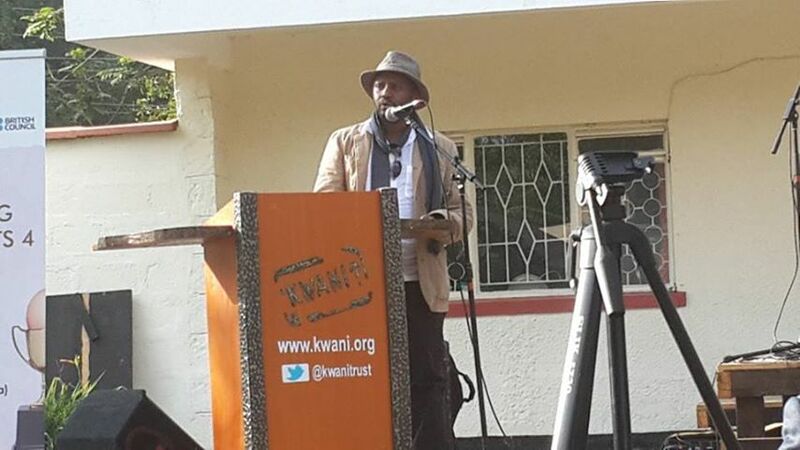 There was newly Kwani shortlisted writer Timothy Kiprop Kimutai who has the opportunity as much as anyone to be the next big thing from Kenyan literature. There were also some writers from South Africa and Nigeria and Zimbabwe. It was an all out writer pig out that you can rarely get in this town. I’m really looking forward to the next Sunday Salon. Whenever that is. P.S. Winyo performing on that stage. Awesome. Singer Winyo with the blogger. Performer Ngwatilo Mawiyoo brings it. 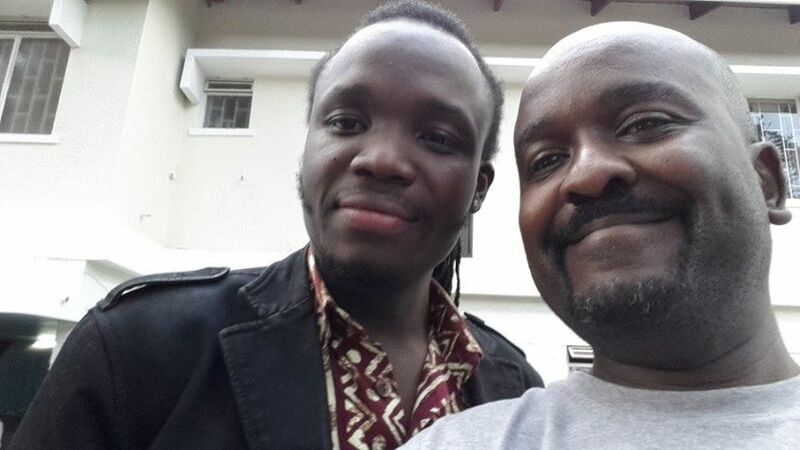 Billy Kahora is Managing Editor of Kwani.